While not a thorough bred RPG, Mageslayer, is definitely a game that is worth looking into, if you enjoy the kind of games that this one is; it's fun to sink into, action oriented, pretty decent all around and most of all, it's a satisfying climb from A to Z. Your main foe is a certain Lord Thane, and his clans, who's looking for revenge in this medieval, fantasy tinged land, but you can't allow him to destroy the other clans and just get a free pass, without no losses. And so, Mageslayer is really full of violence, conflict, war, and the cool part is, you can play as a member of any of the two main clans that are waging war. So it's definitely fun, and I totally recommend it if you like throwing around magic spells and just getting things done with sword in hand! It's almost like a 3D dungeon crawl, though without the RPG backbone, but it's definitely fun! Plus, graphically it's on par with games such as Unreal, if not even more polished, which is just great, however you choose to look at it! So give Mageslayer a go, it will definitely not disappoint! Hack 'em and slash 'em! 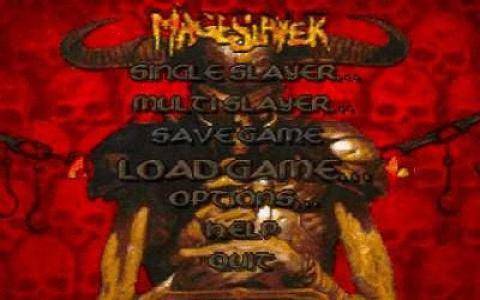 Megaslayer is a Wolfenstein meats Diablo hack and slash action game in which there is not hard to figure out what you're supposed to do. You go around and kill stuff. End of story. Travelling around mazelike rooms, you are constantly attacked by ugly creatures withe fireball like weapons and of course, you have to defend yourself. 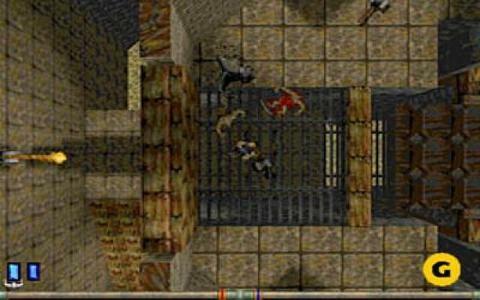 You use magic and weapons, collect items and artifacts through 30 levels full of blood and gore untill you get to the last level and kill the big boss, Wyark. The game has a top down view, which is a big turnoff for me since I really like the first perspective in an action game, but maybe there are people out there who just love those kinds of games. 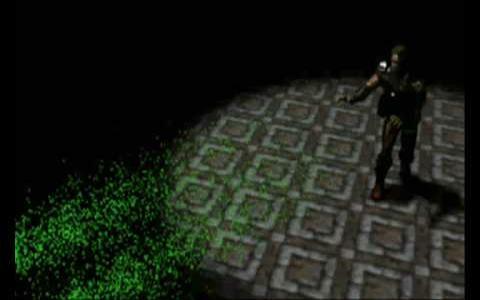 Besideds that, the graphics is really good, with blood red aside from other dark colors dominating the game. The music is mediocre and not even worth mentioning. The gameplay is really great and fun, so the enjoyment meter will definitely be high. So, if you don't mind the top down view, turn your brain off for a few hours and hack away!